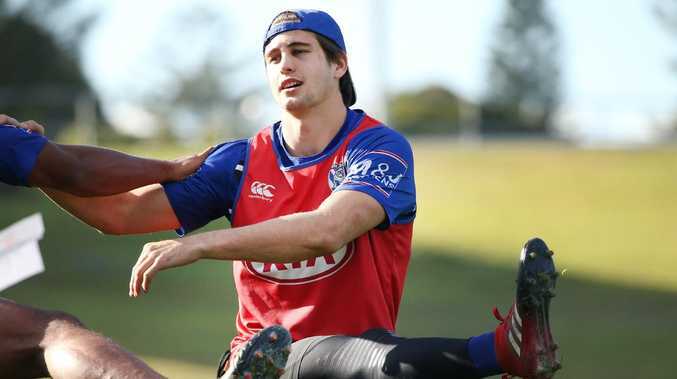 Foxsports.com.au revealed earlier this week the Bulldogs had tabled a two-year offer to the 21-year-old, possibly with a player option for a third season. The young playmaker debuted in round 16 and has played the past three games in first grade. Foxsports.com.au understands coach Dean Pay has all but guaranteed Lewis a spot in the NRL team in 2019, whether it's starting in the halves or off the bench. If Kieran Foran is fit to play next season it will be Lewis, Jeremy Marshall-King, and Jack Cogger all competing for the second halves spot. "Despite being only 21 years of age, Lachie has shown that he has the desire and ability to be a big part of our club going forward," Dogs chief executive Andrew Hill said. "He has transitioned well into our NRL squad in recent weeks and his signing is a positive sign for what lies ahead for the club, as well as another important stage of our recruitment process for next season." It comes after coach Pay admitted the club might struggle to retain gun backrower Rhyse Martin due to salary cap restraints.